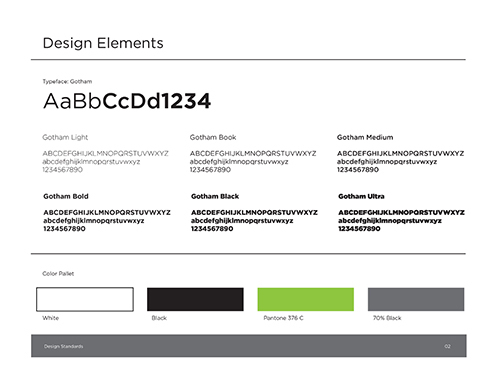 Brand Standards Guides, the visual vocabulary of your brand, enable you to offer employees an easy-to-read reference on how to represent your brand internally and externally. 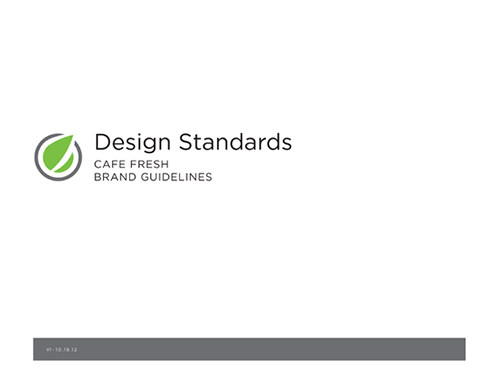 A complete Brand Standards guide not only lists the corporate colors and correct font… it provides samples of how to represent your brand in your advertising, in your internal communications and on your website for style consistency. GSP’s Design Services team can help create your company’s own Brand Standards Guide—defining color palettes, selecting fonts, establishing logo treatments and developing a style for your product photography. These new branded guidelines can be used for all the various brand touch points you have with your customers and within your organization, and show how to properly make your brand a part of these interactions. For example, how to correctly use your logo and color palette in POP, billboards, web sites, and web-based banner ads. We’ll help make the brand accessible by compiling your brand components and your examples of the brand in use in a well-organized brand standards booklet that you can print and hand to your employees and brand ambassadors—so they will know how to best represent your brand. The Brand Standards Guide will solidify your brand across all communications and enforce brand consistency from season to season, job to job, campaign to campaign. Reinforcing standards will ensure your employees “live the brand” every day—and truly make your brand come to life. Our team delivers a wide variety of design services: graphic design, foodservice design, copy writing, logo and brand development, store reimaging and food photography. Our design services team can tailor the campaign to best communicate your marketing objectives, and would involve a creative process that includes strategy, content and design.